We’ve got some great news for those of you anxiously waiting for a reason to get back into Hyrule Warriors. Today, Eiji Aonuma, director of Hyrule Warriors took to Miiverse to give fans an update regarding the second DLC pack for the game: The Twilight Princess Pack. In addition to letting it drop that the much-anticipated addition will be releasing globally next Thursday, November 27th, he was kind enough to tell fans exactly which character they’ll be able to play as, noting that he’s happy to finally see Midna‘s true form appear in a game once again. Given her extremely limited screen time in her game, I’m sure many of you out there feel the same way. The Twilight Princess will fight with the Mirror of Twilight, taking an interesting reinterpretation of the item. Additionally, Aonuma teased a costume that Link will be receiving in the same pack, along with other costumes, new weapons, and a new adventure map. You can see his full post below. If you’ve already purchased the season pass, you’ll simply be able to download this content once it releases next Thursday. If not, you’ve have to pony up $7.99. 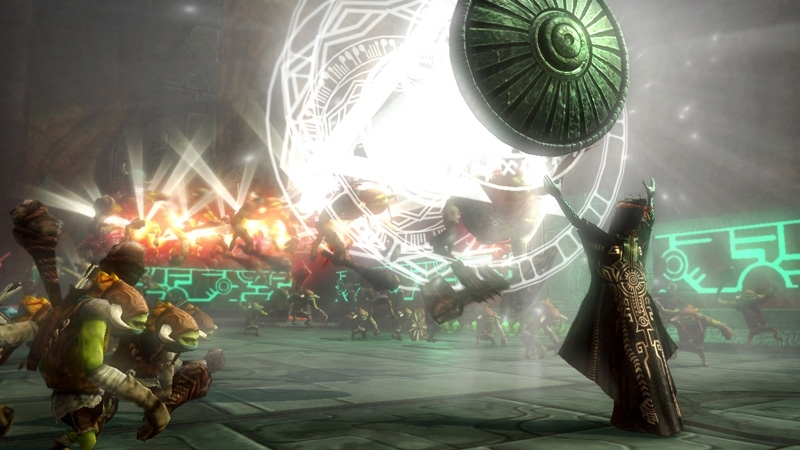 Are you looking forward to experiencing the Twilight Princess’ true abilities?